A year ago, I would barely wear liquid foundations for everyday but my love for funda has gone overboard. Now, I have 10 foundations in my makeup drawer that I have been switching up daily. This caused a lot of set backs on my skin like occasional flare ups plus extreme dryness. I wanted to let go of using foundations as my everyday makeup base but I needed a product that will make my powder foundation cling perfectly on my skin. It was then that Tony Moly sent me their Naturalth Goat Milk Pure CC Cream for review. Of course, I couldn't be any happier because I was really planning on going back in using CC and BB Cream for everyday makeup. This CC Cream has SPF 30 PA++. It claims to be skincare and makeup in one as it contains 30% special goat's milk. It has milk showering base that gives off a brightening effect. It also has tamanu oil that gives moisture bright glowing finish. It also boasts of its honey and agave ingredients that acts as skin bonding complex keeping the coverage of the cream for hours. This CC Cream is housed in a neat plastic tube with pump dispenser. This CC Cream costs 1,198. A bit more costly compared to other CC and BB creams from Tony Moly. It comes in two shades Pure Milk and Beige Milk. And surprise, surprise, I got Shade No. 1 in Pure Milk. Pure Milk is a very very light pinkish beige shade. Honestly, the first time I tried it it gave me that MUMU effect! Kamusta naman ang floating face. But wait, instead of focusing on how it made me look ghostly white, I immediately noticed how moisturizing this CC Cream was. It was so easy to blend on the skin. It might also be the most hydrating CC/BB Cream that I have ever tried. It tamed my dry patches and made skin supple and fresh. Due to this instant hydrating factor, I decided not to give up on this CC cream. The second time I used it, I decided to use it sparingly. When used sparingly it evens out my skin tone and primarily acts as a skin brightener. It does not have any coverage at all. It takes a long time to adjust to my skintone. It also acts as a primer because it covers up my pores (or feeling ko lang) and it makes my powder lasts longer than usual but definitely not the whole day. Aside from using it alonge, I really love mixing this product with other foundations. I use it as a color adjuster and even acts a moisturizing agent on extremely drying foundations such as my L'oreal Pro Matte Infallible. 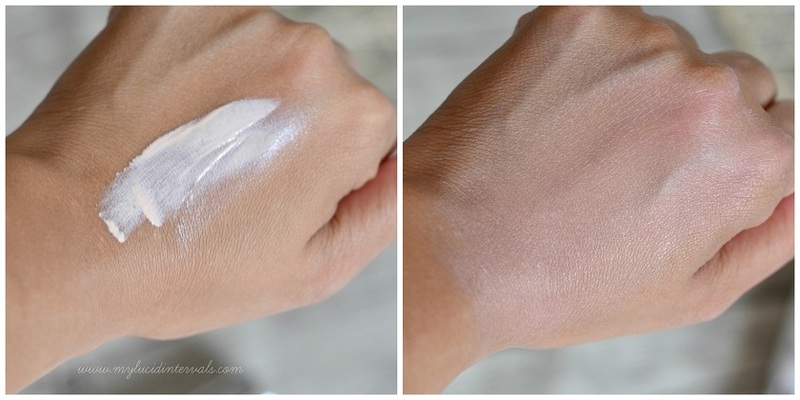 I also mix this CC Cream to thin out heavier and creamier liquid foundations. I also mix this with darker shades of foundation to get my right shade. Overall I like this CC Cream. It may not be for all as it is moisturizing, lighter in shade and does not have any coverage but it works well when mixed with other bases, as a skin brightener and as an everyday base. I love how it feels nourishing on the skin with every use. It looks white nga but its not that much, I can see instant freshness/ radiant looking and the coverage is really good too.Though Tony Moly a bit pricey for me, for its price it work exceptionally great! Well, this is really something worth checking out. Love the look of it on the skin and the coverage is great as well. Waahhh nang aaway talaga ng mga medium skinned and morena ang mga korean BB and cc cream (well exception for tony moly bb cotton petite ata yun basta brown yung packaging tapos)! What's their difference with bbs? I tried using bb's once but it made my skin so shiny so I stopped using it. But with this one, it seems matte ang effect. Anu ba mas okay gamitin BB or CC creams? I've heard may DD cream na rin? I love the idea na you can mix it with liquid foundation at least hindi nasayang. Personally I want to try this because of its instant brightening effect. Will check this out on my next mall visit.